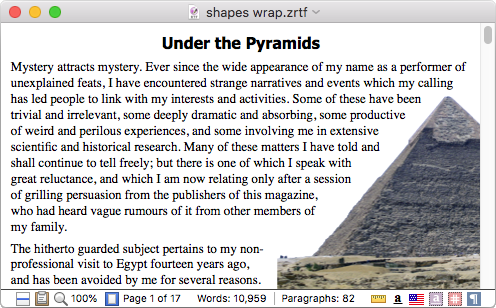 Wrap text around images, shapes, and other floating content. 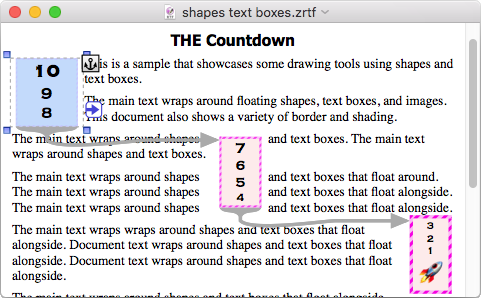 Use our drawing tools to choose from a variety of geometric shapes, lines, and arrows to add to your document. 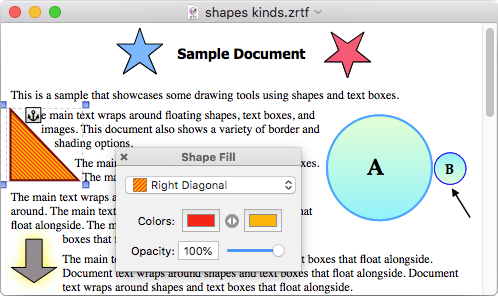 Customize the appearance of shapes using colors, fills, borders, shadows, and transparency. Text boxes and callouts allow text to float alongside your main document content. Text boxes can be linked together so text flows dynamically from one box to another. 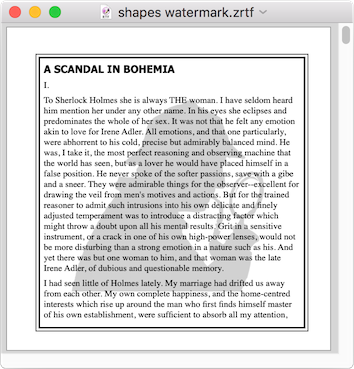 Easily add watermarks showing text or images to your document sections. Read more in our user guide's help topic about Drawing Tools.